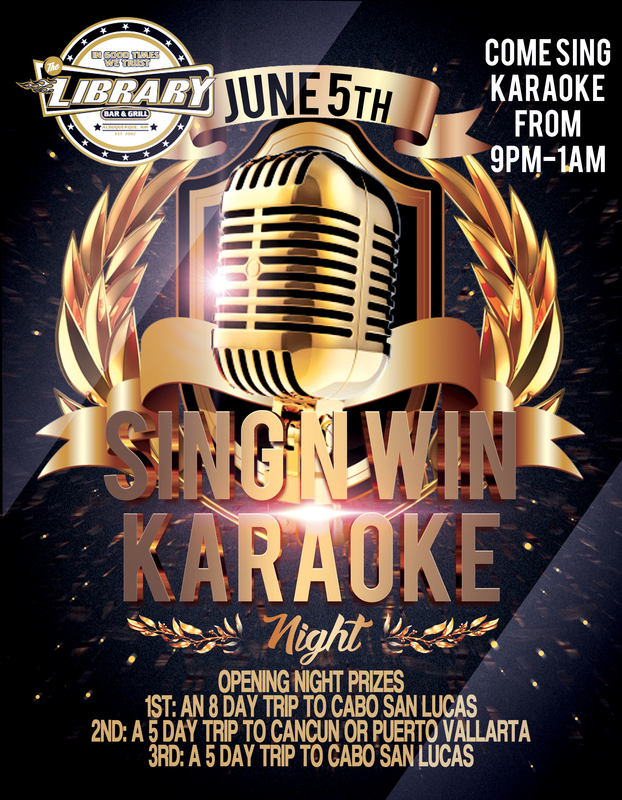 Join us on June 5th for the Sing N Win Karaoke contest. Come out and sing karaoke from 9pm-1am for your chace to win one of our opening night prizes. Prizes include an 8 day trip to Cabo San Lucas, a 5 day trip to Cancun or Puerto Vallarta, and a 5 day trip to Cabo San Lucas.